The GT-R produced by Nissan was first released in Japan on December 6, 2007 and it wasn’t until March of 2009 that it arrived on the shore lines of the rest of the world. The Nissans GT-R also known as the Godzilla is truly an engineering master piece designed from the ground up. Either it be, form it sleek aero dynamic design, to its intelligent computer system with launch control, everything about this car reeks of Supercar status. Nissan production of high performance version of its Skyline range called the GT-R started between 1969 and 1974, and then again between 1989 and 2002. 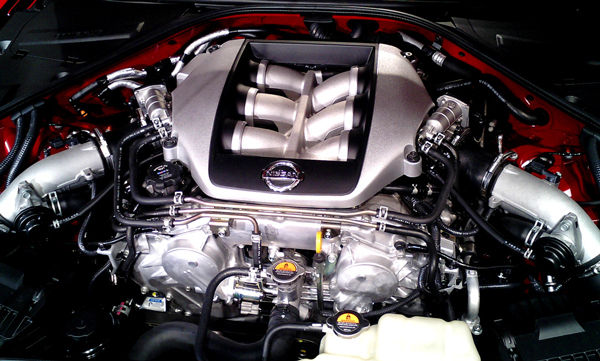 The GT-R became well known both on the track and the road for Nissan strength in producing high performance vehicles. The main fact that draws me to the GT-R is that it is a supercar with a reachable price tag. Also unlike supercars such as a Ferrari or a Porsche 911 turbo, the GT-R can be used as an everyday car without the worries of massive servicing cost, or insurance. Of course, many would say that I have overlooked this area and there are still many other high performance cars available on the market out there, such as the 2010 BMW M3 coupe (costing $65,000 with 420 horsepower). But my mind is still set without the BMW having 4wd or the extra 60 horsepower; I still think the GT-R is worth the extra $12k. What are your thoughts on this? Is there a car you can think of that would be a good rival for the GT-R?